sThere have been numerous psychological studies through many years focusing on twins separated at birth by attempting to answer the age old question about the importance between nature and nurture. Scientist have often disagreed as to which is more important. Psychology researchers have published numerous papers on this topic. Advances in research methods in genetic studies have revealed a vast amount of new knowledge. Studying the role of heredity and environment started in the 13th century in France. The “nature theory” believers think people have a genetic predisposition that explains human behavior. The “nurture theory” believers think behavior is learned or taught. Psychology studies have proven that essentially both theories are correct. In the 1950’s and 1960’s, a New York psychiatrist, Dr. Peter Neubauer caused society outrage when people learned of his psychology studies. Five sets of twins were intentionally separated at birth, raised in different homes without the knowledge of the adopting families or the twins. The families were informed they were participating in a child development study. Dr. Neubauer was considered a world leading expert in child psychiatry. He worked in conjunction with the Louise Wise Services adoption agency in New York. Another consultant, Dr. Viola Bernard, thought twins should be separated to improve their psychological development. One set of the twins were apparently dropped from the program, as they were not developing at exactly the same rate. The other four sets of twins still do not know they were part of this study, or that they have a twin somewhere. Dr. Bernard has died, but Dr. Neubauer was questioned recently by CNN. He refused to disclose any facts, had no remorse for his decisions, and his study findings are sealed until 2066. A well-known, longitudinal study is the Minnesota Twin Family Study, which originated in 1983. The original goal was to establish a registry of all twins born in Minnesota from 1936-1955 for psychological reference. Then, 1961-1964 was added. Ultimately they conducted personality and interests tests through the mail for more than 9800 twins and their families. The research was valuable, as they were able to assess particular traits, which included academic skills, personalities and interests, social relationships, plus physical and mental health. They found that twins raised in separate homes also had very similar results. The largest gathering of twins (whether maternal or fraternal twins), triplets and quads is held annually in Twinsburg, Ohio. It is a 3 day event with a circus theme. According to National Geographic, during the festival the FBI project in conjunction with the University of Notre Dame and West Virginia University uses research methods to compare twins for even the slightest physical differences. The study was conducted in a tent. Twins are fingerprinted, photographed with high-resolution cameras, and their irises are scanned to test new facial recognition software. The result is minute differences even in identical twins, such as a few freckles, pores in the skin or slight difference in the curve of an eyebrow which are reflected on facial recognition software. In another tent twins are asked to sip small amounts of alcohol to see if they react the same way to the taste. This research is being conducted by Modell Chemical Senses Center of Philadelphia. Women’s health issues are being looked at by doctors from University Hospital of Cleveland. In addition, Proctor and Gamble was also present with a dermatologist comparing twins concerning skin damage. Biomedical researchers all over the world are exploring nature and nurture. Biological twin studies are ideal for research as the twins both come from a single fertilized egg. For many years scientist have thought the DNA of twins was completely identical, but recent studies have disproved this theory. Up until then it was believed that any difference between twins was environmental. While the majority of their DNA is the same, scientists at the University of Alabama, plus universities in Sweden and in the Netherlands have examined the DNA of twins and found that twins have a different number of copies of the same gene. It is normal for an individual to carry two copies of every gene, since they inherit one from each parent. However, scientist have discovered regions in the genome (genomes are all the DNA including the genes in an organism) where an individual may carry anywhere between 0 to 14 copies of a gene. This find has resulted in a whole new area of scientific research called eugenics. In one example where twins were studied, it was learned one twin was missing some genes on a certain chromosome that indicated a risk of leukemia, which did result in the twin contracting that disease. The scientific community is now studying twins from a different perspective, as they have learned so much about DNA through the Human Genome Project and years of psychology research of twins. Fraternal twins share roughly 50% of the same DNA. Fraternal twins have also been the subject of many research projects. Identical twins are very similar when it comes to physical ailments, therefore, one would conclude disease must be partially inherited. As an example, in my genealogy research I have discovered that lupus, which has not been considered a genetic disease, can be traced through each generation back to my great grandmother, and I have lupus. There are no twins involved in my personal discovery, but this illustrates how we all inherit two genes from each parent. Most of the twins that are separated at birth are due to babies being put up for adoption when families only want to adopt one child. Frequently children are not told they are adopted, or that they have a twin. Many adopted children want to find their birth mother, which has led to the discovery that they also have a twin. In one well publicized case now at the Smithsonian, two brothers born in 1939, were adopted by two different families. It just so happened they were both given the same first name. 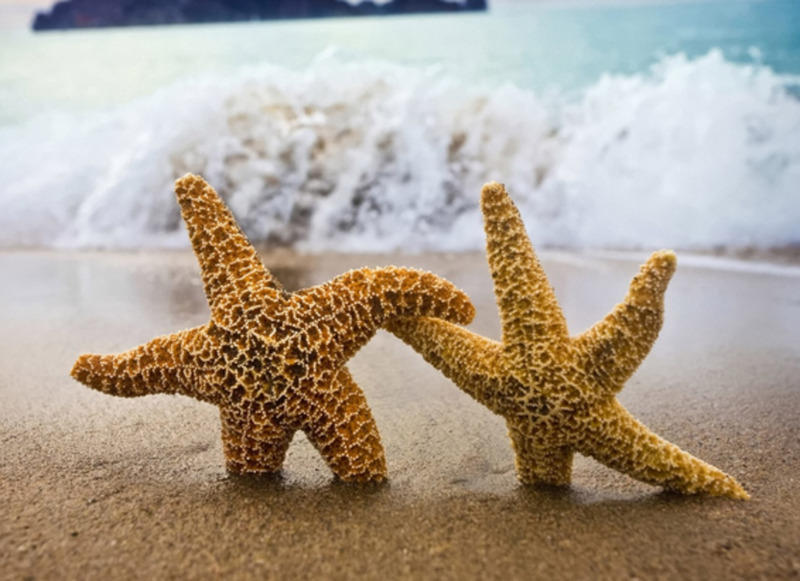 The brothers managed to reconnect at age 39 and found they had numerous similarities. Each man was 6’ tall, weighed 180 pounds and both had dogs named Toy when growing up. Also, their families both vacationed in St. Petersburg, FL. Both men married women named Linda when they were young, and both got divorced. They both remarried women named Betty; they named their sons James Alan and James Allan. Each served as part-time sheriffs, enjoyed home carpentry, smoked Salem cigarettes, drank Miller Lite and suffered from severe headaches. They did comb their hair a bit differently, but there were other similarities as well. This case would certainly cause one to believe nature is extremely important in shaping an individual’s mannerisms, like and dislikes. The twins considered the day they met the most important day in their lives. There is also a sad case in England where fraternal twins met, fell in love and married. It is unclear how they learned they were twins, but their marriage was illegal, and a judge reversed it as though it never happened. There are numerous stories of twins meeting as adults and their lives have uncanny similarities. It seems to me that children should be told they are adopted and certainly told if they have a twin. It seems cruel to separate twins, but it still happens. It would be nice if twins, even if they are raised in different homes, had the opportunity to spend some time together as children. There is a bond between twins they defies explanation. What do you think is more relevant in the life of raising a child? I think environment is more important than any genetics. I think the DNA component is probably more important than the environment in which a child is raised. I think DNA is part of the makeup of the child's personality, but I think the environment in the home is more important. ccligirl, I find it very interesting also, and thank you so much for the kind comments. Linda, I think you could write a fascinating book about yours and Linda's experiences. I think you are fortunate to be twins as not many people experience that degree of closeness and love. I think there is a heavy genetic competent in your case, yet I know the environment must play a role. Thanks for sharing your experience and the comments. Very interesting and a great read! Twin stuff is so interesting. You also did a great write-up here - thoroughly researched and well-presented. Nice! I think both environment and genetics play a part in how one turns out. Sis and I think we are identical but have never been tested. We definitely have more similarities than differences. We share such an incredibly close and uncanny connection, that I could go on and on. We've had many psychic experiences that even blow us away. For example: 1. When I was suffering with heat exhaustion which led to high anxiety and panic attacks, my sister had the same symptoms in another state. 2. When my lung collapsed and I was getting a chest tube put in, poor Laura felt the plunge of the tube go into her chest as it entered mine in the operating room. My stories are numerous and know you have read many here on Hubpages. Being a twin is a blessing that Laura and I do not take for granted. We love each other so much and love to spread it around. Not to be corny, but sis and I think our relationship is a beautiful example of unconditional love. I would die for her, and she would die for me. Thanks for the great research on twins. P.S.-Laura and I use to be part of the Minnesota Twins Club. We did fun things like throwing out the first pitch at a Minnesota Twins Game. Lyns, I don't have any twins in my family, but I think these studies are so interesting as we evaluate genetics vs environment. I think separating them is cruel also. Thanks for your comments. Lady Guinevere, It is interesting how some identical twins are so different, and others are more like clones. I don't know if they have studied triplets or quads. I think they have a lot to learn about the effect between genetics and environment. Thanks for your comments. Peggy, I agree that separating twins for sceintific research is not justified. It is interesinting how much alike that were however; and I think we still have a lot of learn. I appreciate your comments, and the share, not to mention the compliment of being entered into the Awesome Hubpages. This is very interesting information. I know of three sets of twins that I grew up with. I only have kept in touch with one set and they are almost different as night and day and they are Identical. Strange things about genetics. It seems to be that we are like computers when we are formed in the womb. Now one has to wonder why the non twin is so prevalent. Does all this also go for the triplets and quads and the sextuplets? Very interesting topic. What a fascinating subject although to purposely separate twins simply for research purposes is not justified in my idea of what is right and wrong. I think that genetics and environment play an equal role in human development. Scientific and psychological studies may keep unraveling more information in the years ahead which may benefit all of us. Up votes and sharing. Will also pin to Awesome Hubpages. 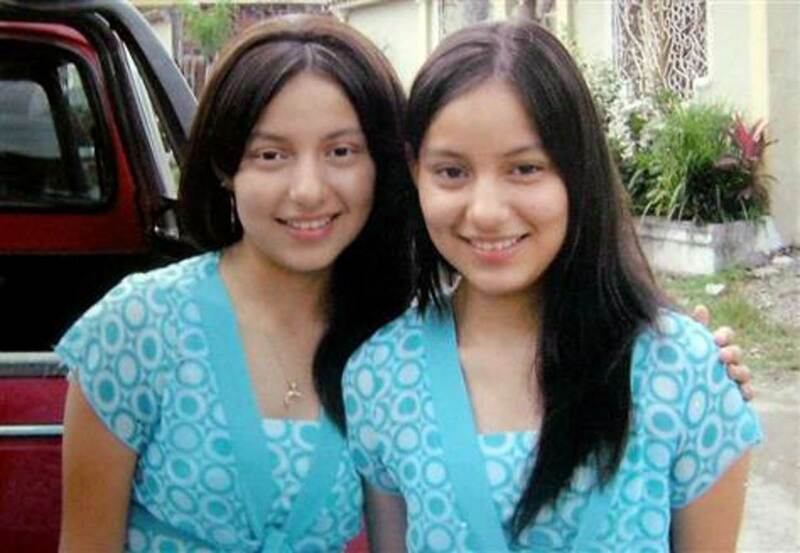 The twin phenomenon is so interesting to read and learn about. It is uncanny how similar their traits can be even though time and distance have separated them. Gail, It is a fascinating topic and I'm glad you enjoyed it. I appreciate your comments. jainis,us, I'm glad you enjoyed it. Thanks for your comments. I have always been intrigued by the nature vs. nurture issue, and fascinated by identical twins. You did a great job presenting the scientific, moral and ethical issues of studying twins, particularly those intentionally separated for research purposes. Thanks for sharing this information. Very interesting Hub, thank you for sharing it. Voted up and shared with followers. midget, I think that is true and found it sad that so many are separated. Thanks for your comments. I can certainly understand why Dr. Neubauer's studies would have been controversial. I agree, twins should be indeed raised together at birth. pstraubie, I guess a sister 7 years apart is good enough! I am glad you enjoyed the hub and I find twins are interesting also. Thanks for your comment and the angels. Angel back to you also. This is so interesting, Pamela. It was so sad to me that the twins were separated at birth int the first part of the article. That leaves so many questions unanswered...like did they ever find their twin? And the records sealed till 2066?? Tragic. The whole twin issue has always fascinated me...I always wished I was a twin...who knows why but I did. My sister says we are twins born seven years apart. Eddy, I am glad you enjoyed this hub and I appreciate your comments. This is so interesting or fascinating being a better word I think Pamela. Thanks for sharing and I vote up,interesting and useful. Robin-Jones, It is always nice to hear from twins. I thought the information I found was just fascinating. Thank you for your comments. Edet, Your experience would certainly say environment is more important. The studies showed the twins were very alike when they were raised in the same type of environment for the most part. Thanks for sharing your experience. It so amaizing learning about twin, have not really thought of this even when i have sisters who are twin brought up in different environmen. Lagos and Akwa ibom state, One is high tempered while the other is not, one is always bright while the other looks sade and dull. Drowing my premises from here i can boldly say that environment plays a biger role in behaviour patharn. But holds more on health aspect. robie, Twins fascinate me also. I like the way you summed up the nature vs nurture issue. Thank you for your comments. I've always been fascinated by twins and the amazing closeness they share. Maybe it is because I am an only child, but I always thought that twin bond was miraculoous. It was like they were in each other's heads. I knew a set of identical twins when I was a kid and just found them magical-- especially when they were dressed alike:-) As for nature vs. nurture, well I think genes and environment are equally important and we are the mixture that results from the two. The hand is dealt to us, but we have to play it. Loved this hub and voting it up. Gus, Thank you so much for the comments and extra up vote! suzettenaples, We don't have twins in our family either but I always thought it would be great fun. Thanks so much for your comments. This is an interesting an fascinating hub. I personally think that each child's personality is part DNA and part home environment. When it comes to twins, I do believe they have a special connection that other siblings just don't have. But, then, I'm not a psychologist, just a retired teacher who has observed children for thirty years. LOL I'm not crazy to hear of Dr. Neubauer's study of forced separation of twins - I think that could be very cruel to the twins involved. I used to live in Ohio about 10 miles away from Twinsburg and I have attended the Twins Day festival. It is a hoot to see twins of all ages and genders. I think it would be fun to be a twin, but they just don't show up in our family. I don't know of anyone in our family on either side having twins etc. Thanks so much for an enjoyable and interesting hub! Some food for thought here. sofs, Thanks so much for your comments. Interesting! I agree with your conclusion completely. It is cruel and unethical to separate the twins, not letting them know about their twin or give them an opportunity to meet the other. Thanks for the share have a lovely day. God Bless. sholland, The birth mothers were never mentioned in any of the sources I searched, and I would hope they would not have approved. I feel bad for the English twins also. Maybe they still live together, but they sure wouldn't want to have children. Your involvement with the twins is interesting and I believe they definitely have a connection that is a deep bond. Thanks for your comments. WOW, I want to see those results that are intended to be opened in 2066. That would be so interesting. I think it would be fair to tell the twins, too. I wonder if the birth mothers knew. Also, the brothers who met and had so much in common is so interesting. I feel bad for the twins who fell in love. I wonder how they figured out they were twins. As a teacher, I have been asked to participate in answering questions about twins. Each time the twins have come back to tell me they sense the others' thoughts and feelings. anginwu, I am glad you enjoyed this hub and I always appreciate your comments. Dolores, I agree with you and appreciate your comments. KKGals, I would think it is about 50% also is they are raised together or in very similar households. Thanks for your comments. LydieRVgirl, I'm glad you are back and I appreciate your comments. Martie, I felt so sad also when I came upon the study about these 5 sets of twins also. Thank you so much for your concern and your comments. Extremely interesting topic and well covered and presented by you, Pamela. I feel sad about the fact that FIVE sets of twins were intentionally separated at birth, raised in different homes without the knowledge of the adopting families or the twins. Lupus is a horrible decease - it is also the lot of one of my close friends. I'm so sorry to hear that you, too, has to live with this. Voted up and an excellent hub about new research in psychology considering twins. I believe both environment and DNA both have about an equal part in what we grow up to become. I am fascinated by the studies of separated twin both fraternal and identical. Excellent well written article. Up and awesome. Such an interesting hub. Splitting up those two girls for a study is mind boggling - twins seem like such a beautiful miracle, to separate them was so cruel. So glad they reunited! Interesting read. I'm always fascinated by twins--I think i'ts really neat, identical or fraternal. The story of the twins with the same name and pretty much same everything is uncanny. Thanks for the great read and voted up. sheila, I'm glad to know it is against the law now. I appreciate your comments. Your article was interesting, and the story of the twins separated at birth and studied, never told the truth - it seems that should have been against the law. toknowinfo, It is interesting that the quads also had all all those similarities. Thanks for your comments. rebeccamealey, I agree. I appreciate your comments. stephhicks, Its amazing that people would ask you if your twins are identical. Thanks so much for your comments. teaches, You must be clearly aware of the similarity of twins with so many in your family. I appreciate your comments. Melis Ann, Thank you for your comment. lord de cross, There are so many stories on the internet about twins separated at birth and I also wonder if there are many more stories that have never made the media. I appreciate your comments. Healthy Pursuit, Epigentics is a fascinating topic and since the study is relatively new the new data that will emerge will also be interesting to follow. Thanks for your comments. JKenny, Feral children would make for an interesting topic for a hub. I have never done any research on that topic but wonder if they have done any nature vs nurture studies. I appreciate your comments. Interesting article Pamela, the whole nature vs. nurture intrigues me. Have you ever heard of feral children - kids that grow up in the wild without human contact. There are a lot of mythical accounts, but there are some real ones, and they really do question the notion of what really makes us human. Voted up etc. Thanks for the great hub, Pamela99. I love epigenetics! I have been very interested in the twin studies, though more with twins as they grow and develop, and their DNA switches on and off in response to environment. It may not change them that much in personality, but it does change them physically. I thought one set of twins was particularly intriguing in that one twin had developed rheumatoid arthritis and the other one hadn't. The twin who had arthritis had taken anti-inflammatory drugs for years. The other twin hadn't, but that twin developed early onset Alzheimer's. 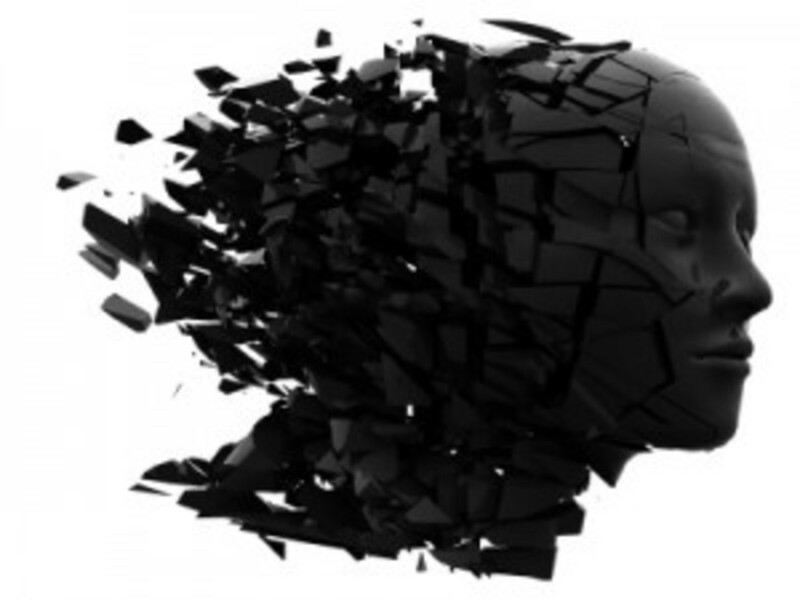 It made me wonder if they will find that Alzheimer's will be one of the conditions, along with heart disease, that will be made less likely by taking aspirin daily. Great article, well researched and amazing stories that bring up to date the fraternal connectivity that last throught the years. Thos Ecuadorian teens are like two drops of water. Is too cruel to separate twins at birth. I wonder how many storied never made it to our media. Voted up! Separated twins are an incredible resource for information! Wonderful info. This was a fascinating read! I think there is definite evidence of the Nature side, but nuture makes a big difference too! Excellent topic and a well written hub. I find these studies very interesting, even though it is unfortunate that the siblings get separated. A number of years ago there was a story of identical quadruplets who were separately adopted by 4 different families. They found each other as young men and the similarities in their choices and lifestyle were phenomenal. It makes you wonder about these coincidences. Great hub, voted up awesome, interesting, and useful. Frog Prince, Always with the jokes! Thanks for a laugh. farmloft, I was hoping to hear from some twins and appreciate your comments. I don't think most people would agree with Dr. Neubauer's experiments, but the people that participated didn't know. I am glad that is not illegal. I couldn't seem to find a reason why the study results are sealed. You would think some of the twins could sue and get them opened. Being an identical twin, I have plenty of antecdotal evidence that twins are more connected than just from their environment. But our environment was very important in encouraging us to be close and yet develop independently. We grew up just fine in the same household. I'm fairly certain that our parents never heard of Dr. Neubauer or Dr. Bernard and would never have agreed to such an experiment. I wonder why the doctor's study results are sealed? Whoops! Better stop right there. Blissful writer, I think you summed up the conclusions correctly, as that is what I think also. Thank you for your comments. MYWIKISTEP, I appreciate your comments. fpherj48, It seems this hub fits right into an interest of yours and your sisters. I also think the research options on this topic are limitless. Thanks for your comments. RNMSN, Your comments are appreciated. Ruby, I was also saddened when I read about the twins being separated and there are 4 sets that still don't know they are twins. Thanks for your comments. Ask Queenmother, Thank you for sharing the views of the Yoruba culture, as that is very interesting. I appreciate your comments. JamaGenee, I agree that separating twins on purpose is despicable because it does happen too frequently with babies put up for adoption. The show you watched sounds interesting. This is where epigenetics plays a role. I appreciate your comments. Considering the number of twins separated for economic or societal reasons (i.e. born out of wedlock), I'm appalled any member of the psychiatric field would do so as a "scientific" experiment! This is just plain wrong on so many levels. For instance, twins who grow up apart have a sense they aren't "whole". Elvis's identical twin died at birth, and he commented many times that he always felt half of him was "missing". I'm not surprised, however, that even supposedly identical twins have minute differences in facial characteristics, etc, and DNA. Just this week I saw a program about a man in Oregon who, on the strength of a fingerprint, was wrongly accused and incarcerated for the London subway bombings. Thanks to his case, "experts" now know two people CAN have identical fingerprints. It doesn't happen often, but it DOES happen. 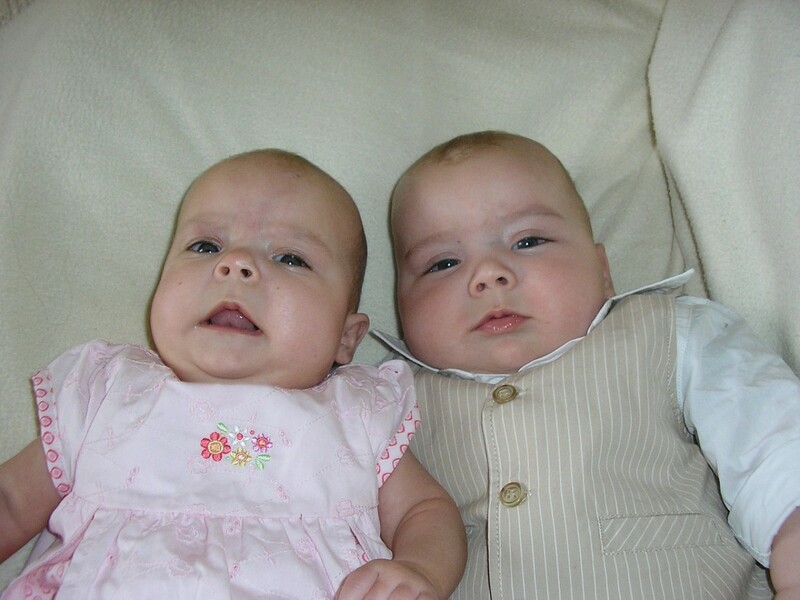 I enjoyed reading your article and finding out more very interesting facts about twins. In the Yoruba culture twins are called Ibeji pronounced "Ebeyg". Twins are considered to be a form of divine powers. The birth of twins and the meeting of twins are thought to bring the blessings good fortune to the family. It is amazing to see that separated twins possess the power to be made whole by connecting after many years of separation. excellent explanation and thought provoking! Pamela....This subject has always fascinated me (nature/nurture). I hold some fairly steadfast opinions on the topic. Combining this study with twins, separated at birth certainly broadens the interest and offers the opportunity to study more in depth. My late sister and I would have lengthy discussions, using our own children as examples of just how and where genetics become "obvious" issues in character, attitudes, talents, etc. There is no limit to the areas that can be researched and the insight we can accrue in this particular science. I am familiar with Twinsburg, Ohio, which is just outside of Cleveland, where I lived and worked for a couple of years. Unfortunately, I did not ever visit Twinsburg during the famous, annual Twins-Conference week-end. I can imagine it would be great fun! It 's fascinating how nature and life itself always teaches us more. I think both nature and nurture both plays an role in shaping who we are -- about 50%/50%. It is true that certain genes pre-disposes us to risk of certain diseases, and that is why identical twins tend to have the same aliments. However, with strong lifestyle and environmental changes, it is possible for us to not let genes dictate our destiny.